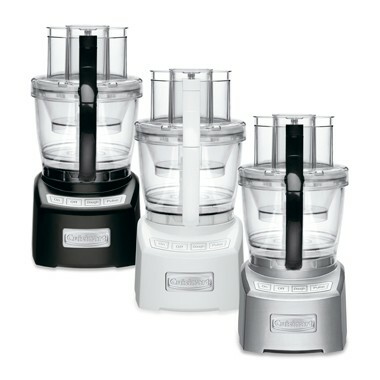 This is the summary of consumer reviews for KitchenAid KFP750 700-Watt 12-Cup Food Processor. The BoolPool rating for this product is Excellent, with 4.50 stars, and the price range is $159.99-$179.95. 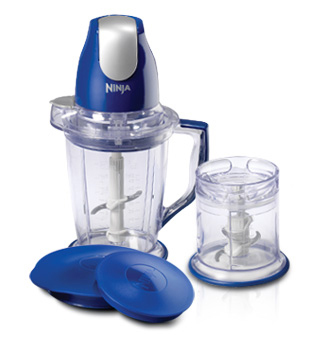 I purchased this food processor based on it getting the "best" review by Americas Test Kitchen. 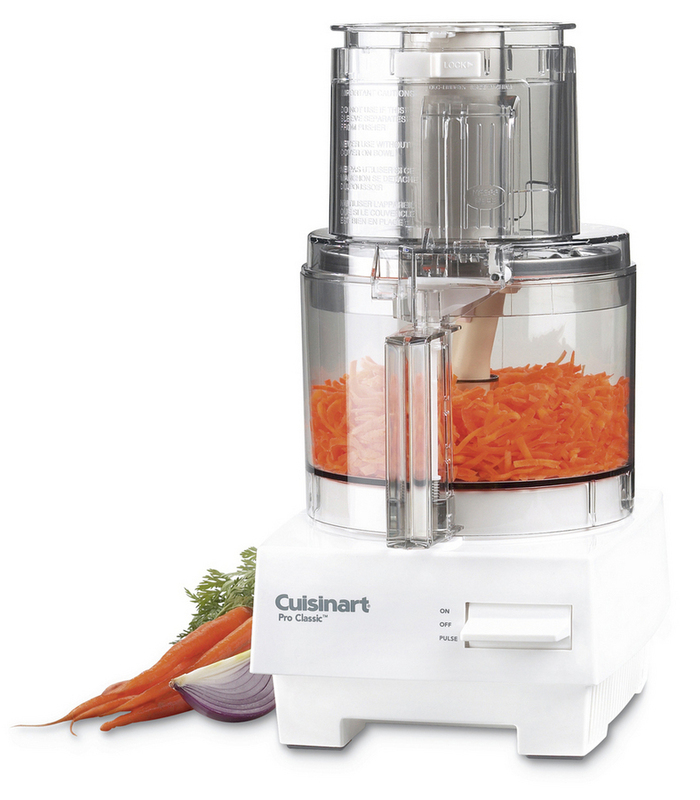 This unit was one of the "Highly Recommended" units by America's Test Kitchen, So we'd to trust them. I bought this based on America's Test Kitchen recommendation and found that it lived up to all of the hype. 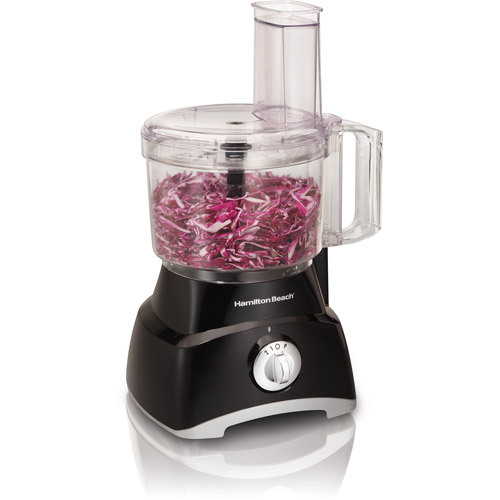 This's the food processor recommended by America's Test Kitchen and that's why I purchased it. 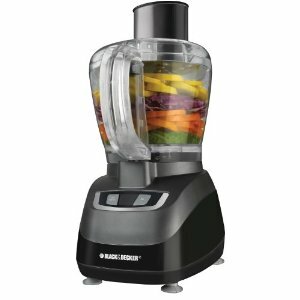 After reading about others who experienced the same issues, I found several posts recommending Kitchen Aid food processors instead. The unit is quite heavy and has worked very well with everything we've tried so far. I watch them use this model on both America's Test Kitchen and Cooks Country and have been wanting the same model that they trust and use consistently. I haven't found anything that this processor doesn't do as well or better than the Cuisinart - and the knives and work bowl seem sharper/heavier/better made. It comes with a hard plastic tool box that contains the dough blade and the other cutting blades. Using the slicing blade can cause the blade support to "jam" onto the driveshaft - making your processor a very heavy, unusable piece of junk! When the slicing blade is in use, the container doesn't fill evenly. This processor is going back, dough blade fused. 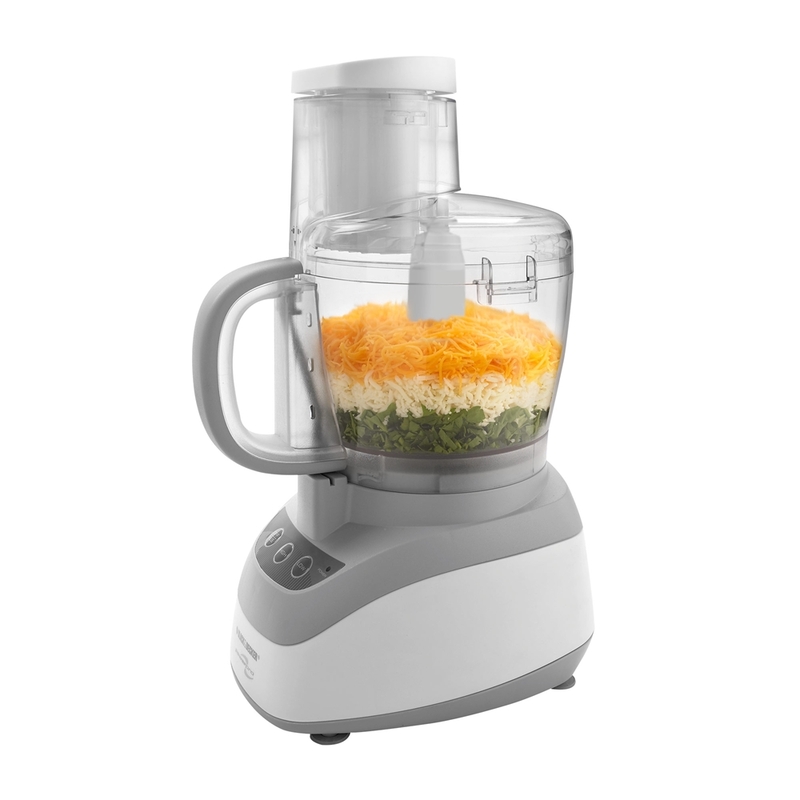 This food processor is very powerful, easy to operate, has a convenient mini-bowl and blade for smaller tasks and comes with a great assortment of accessories and blades. 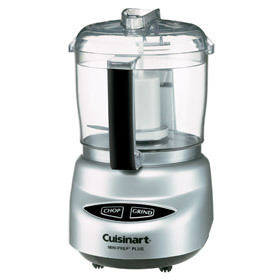 It's interesting to note that Kitchenaid uses the blade manufacturer that used to make the blades for the legendary Cuisinart food processors. I like the sturdy base and the blades are extremely sharp. It does slice, chop and shred very well. Clean looking fits well under the cabinets. It's pretty easy to clean, and looks nice. The item arrived in excellent condition, looking "brand new" and works as well as it looks. Also very easy to clean. The storage case for attachments is great as well. Cleaning is easy and the spill-proof controls clean up perfectly. I'm looking forward to the option of having the smaller bowl size as well. This was easy to use without a lot of buttons, and the parts assemble easily as well. Other than these issues, it's worked extremely well. There's also a smaller work bowl that's very nice and fits well inside the larger bowl. This time, everything worked fine, and the machine is quiet. 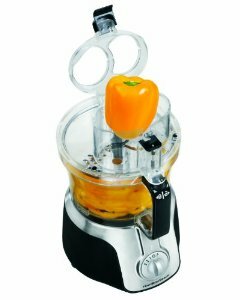 I read every review for this product, and had a difficult time believing that people were so happy with this little machine. This's a beautiful, powerful, and quiet machine! This machine is very quiet. So, in my opinion, it'd be a waste of time to get replacement parts for this machine. If you see all those great reviews, look at how long these reviewers have owned the machine. Finally the plastic parts started breaking, but it served me well for a long, long time. I could process in the mini bowl, large bowl, and outer bowl without having to stop and wash bowls in between. The first time I tried it, to slice some potatoes, it took longer to set the machine up than to slice the potatoes!. The little bowl is big enough for most chopping jobs, so all you've to wash is the little bowl, the blade and the top -- much less dishwasher space than the one bowl kind. Contents of the top bowl leaks into the bottom bowl: I haven't experienced this. I think that the leaking some people report might be from overfilling the top bowl... in which case just use the bottom bowl. You can't get much into the small bowl, and the large bowl doesn't do a good job of chopping or processing with a smaller batch. The little bowl fits the bill very well for most jobs as I said. It fits on the bowl very well and locks into place securely. tzatziki or veggie dip) in the top bowl, and never had a drop leak out to the bottom bowl. The small bowl is too small, and frequently leaks over into the large bowl. I love the littler bowl insert, which is perfect for chopping herbs or making hummus, which the main bowl would just be too big for. defined as dough ball, with nothing on side walls of big bowl. It's a powerful motor, the various cutting blades perform well. 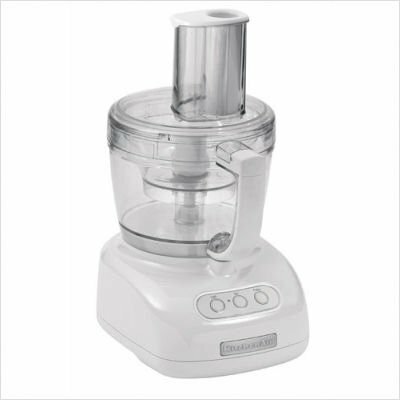 Obviously, if you're processing dry ingredients -- chopping vegetables, slicing potatoes, mixing dough -- the bowl can indeed hold up to 12 cups. It sounds great in theory: use the smaller bowl for small jobs, and save your self the work of dismantling and cleaning the large work bowl. The large bowl works with the large multi-purpose and the dough blade, and all disks, but the middle bowl only works with the disks. 4-cup work bowl is a definitely plus but it's still too big to chop a very small amount such as a few carrots or several cloves of garlic unless you add some liquid to the bowl. Ironically, the main bowl and multipurpose blade do a better job on this kind of task. I've used this to chop nuts as well as the mini bowl. Because of the clean design with no nooks and crannies, the work bowl and blades come clean in the top rack of the dishwasher. While the bowl capacity on the Kitchenaid looks huge, in reality I'm only able to fill it less than half full with liquid.